Alle Themes unterstützen jetzt das Cheat-Menü, weshalb die "usrcheat.dat" in "SD://_nds/TWiLightMenu/extras/" verschoben werden muss. Im DSi-Theme wird außerdem ein zufälliges Foto angezeigt, welche als BMP in "SD://_nds/TWiLightMenu/dsimenu/photos" kopiert werden müssen. Auch können R4-Themes aus "SD://_nds/TWiLightMenu/r4menu/themes" geladen werden, dazu müssen die BMPs aber von 24-Bit in 16-Bit konvertiert werden (X1 R5 G5 B5). Theme.ini-Dateien werden noch nicht gelesen. Im DSi- und 3DS-Theme lassen sich Spiele umsortieren, wenn "Steuerkreuz hoch" gedrückt, das Spiel an einer andere Position verschoben und abschließend "Steuerkreuz unten" gedrückt wird. Den umfangreichen Changelog findet ihr auf GitHub. Cheats werden jetzt unterstützt – sie werden aus "SD://_nds/TWiLightMenu/cheats/usrcheat.dat" gelesen. Jedes Theme liest Cheats, aber nur das Acekard-Theme kann diese (de-)aktivieren. Natürlich wurden wieder einige Fehler behoben, so wird jetzt bspw. auch das HOME-Menü-Icon korrekt angezeigt. * After a while with only two 8-bit emulators (nesDS and GameYob) built-in, two 16-bit emulators (jEnesisDS and SNEmulDS) are finally added! NOTE: If you're a flashcard user, you do not need to follow this below, as RAM disk will not be used on flashcards. For SegaMD.img, the ROMs can be placed anywhere (especially the root) in the .img file, but for SNES.img, the ROMs should be placed in the snes folder in the .img file. * Like with save files, you can select up to 10 RAM disk .img files for homebrew. * Animated icon now only uses one palette line for all 8 frames. Eine RAM-Disk mit einer Größe von bis zu 28 MB lässt sich in den Speicher der Konsole laden, um DS-Homebrew ohne SD bzw. Flashkarte ausführen zu können – was relativ sinnbefreit ist, da man eines von beiden sowieso braucht, um ein Programm vorher zu starten. * RAM disk support has been added for homebrew! You can load a .img file up to 12MB if you're on DSi, or 28MB if you're on 3DS, to the console's main RAM, and be free from either a flashcard or the console's SD card. This increases DLDI homebrew compatibility a lot, though very few may still not work (ex. Moonshell v1.x, which works fine from SD card). The RAM disk .img path will be saved to the .ini file by TWiLight Menu++ (starting with v7.2.0). Use this program to create RAM disk .img files. * Loading screen has been ported over from retail game build to homebrew build of nds-bootstrap. It will only be shown when using a RAM disk .img file, or else it will either be shown for a split-second, or not be shown at all. * The DC_FlushRange code is no longer ran when reading from SD card. May improve loads speeds a tiny bit. Vor dem Update: Wenn ihr eine Flashkarte nutzt, extrahiert die "BOOT_fc.nds" in den Root der microSD der Flashkarte, kopiert die Datei und benennt diese Kopie dann in "boot.nds" um. Außerdem muss die Autoboot-Datei der Karte aktualisiert werden. Der Launcher ist jetzt überflüssig und dient ab der nächsten Version nur noch als Updater. TWiLight Menu++ taucht ab dieser Version selbstständig im HOME-Menü auf! Mehrere Speicherstände lassen sich erstellen und Lautstärke- und Akku-Symbole wurden hinzugefügt. Die alternativen Namen ("SRLoader" und "DSiMenu++") können nicht mehr verwendet werden und wenn die Homebrew von einer Flashkarte ausgeführt wird, wird das HOME-Icon im DSi-/3DS-Theme angezeigt, mit dem ins Systemmenü zurück gebootet werden kann. * Volume and battery indicators added to DSi, 3DS, and Acekard themes! * You can now have multiple saves for your games! Up to 10 .sav files can be used. 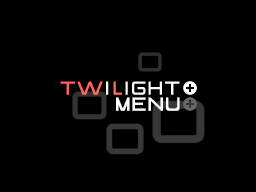 * The TWiLight Menu++ CIA is now shown on the 3DS HOME Menu. * If your on a Panda/Dev DSi unit or a 3DS/2DS, a game console select screen will be shown, if it's your first time using TWLMenu++. * As the new nds-bootstrap release (v0.15.0) breaks compatibility with GBARunner2, the old hb bootstrap is still used to boot GBARunner2. * If you're running TWLMenu++ from a flashcard on DSi or 3DS/2DS, the HOME icon is now shown on the DSi/3DS theme, where you can touch it to return to system menu. * Fixed not saving hb rom's bootstrap file (thanks to @Epicpkmn11). DS-Homebrews lassen sich wieder starten und die Rückkehr zum TWLMenu++ v7.0.0+ funktioniert wieder, wenn L+R+Runter+B für zwei Sekunden gedrückt gehalten wird. Auch wurden Probleme beim Speichern bei einigen Spielen behoben. Zum Ausführen von GBARunner2 wird jetzt zwingend das TWLMenu++ benötigt, da es sich nicht mehr per NDS-Bootstrap starten lässt. * Homebrew compatibility is back! Compatibility should be more or less the same as on v0.0.3. NOTE: This currently does not work with SnemulDS, due to it having a different interrupt dispatcher from libnds-compiled homebrew. * Fixed returning to TWiLight Menu++ with L+R+DOWN+B for 2 secs, if v7.1.0 or later is installed. This feature will no longer work with TWiLight Menu++ v7.0.0 or prior, unless if the TWiLight Menu++ CIA from v7.1.0 is installed. * Fixed save issues in some games that didn't have them before. Some games may still have the issue, even with the fix implemented (ex. DBZ Supersonic Warriors 2). * GBARunner2 now doesn't work. Use TWiLight Menu++'s GBARunner2 feature, as an older version of nds-bootstrap is used there. SCFG-Zugriff für Slot-1 kann aktiviert werden, was die erhöhte Taktrate des DSi-Modus für Homebrews auf Flashkarten bereitstellt. Neu ist auch ein DS-Menü Acekard-Theme von Vulpes-Vulpeos und natürlich wurden wieder einige Fehler behoben. * Added option for SCFG access in Slot-1. Allows setting extended memory mode and/or TWL clock speed in flashcard homebrew. With that setting turned on, when launching TWiLight Menu++ on your flashcard, TWL clock speed will be set on boot, and you'll be able to set CPU speed and VRAM boost settings in the settings screen and per-game settings. * DS menu Acekard theme by Vulpes-Vulpeos (fixed by me) has been added! * DSi theme: When touching the arrow button, it is now shown pressed. * If a saves folder does not exist in the folder of the .nds ROM(s), TWiLight Menu++ will now create it when launching your ROM. * Fixed soft-resetting in Slot-1 DS cart games bringing you to Unlaunch menu instead. Die Ladezeiten für einige Spiele wurden verbessert, so laggt GTA: Chinatown Wars kaum mehr und die Lags in der Oberwelt von Pokémon Schwarz 2 / Weiß 2 gehören der Vergangenheit an. Auch stürzt Mario Kart DS beim Laden von SNES Choco Island nicht mehr ab. * Loading speeds have improved for some thumb games. * swi Halt is no longer hooked into (as it isn't for thumb games), and instead, timer 0 and 1 overflow IRQs are hooked into. As a result, lags in GTA Chinatown Wars are now minimal. * In addition, load speeds are now much faster in SDK5 games! As a result, there's no more overworld lag in Pokemon B2W2! * To work around the crashing while loading SNES Choco Island, Mario Kart DS is no longer loaded into RAM on 3DS consoles. * Fixed soft-reset not working on DSi consoles with HiyaCFW. Einige Fehler wurden behoben und das Acekard-Theme versteckt nun auch den "saves"-Ordner. Die DS-ROM-Speicherstände müssen in einen Ordner "saves" in den gleichen Ordner wie die ROMs abgelegt werden ("/roms/nds/saves/" bspw.). Auch wurde eine "DSi-Mode erzwingen"-Option hinzugefügt, dazu muss aber NDS-Bootstrap noch ein Update erhalten. * Fixed reading from (ROMpath)saves instead of (ROMpath)/saves, if ROM path has no slash at the end in settings.ini. * Main Menu: Fixed the path of the folder of saves being left out when saving to nds-bootstrap's .ini file. * To speed up loading the ROM list, the DS ROM saves will have to be moved to a folder called saves, which will be in the same folder as the DS ROMs (ex. roms/nds). TWiLight Menu++ now expects those saves to be in the saves folder. This change does not affect DSiWare, GB(C), or NES saves. * Force DSi mode option added. Currently, the regular option works the same as the forced one, as nds-bootstrap has not yet been updated to reflect that change. * If the app is being used on an R4iDSN-related flashcard (R4 Ultra, R4i Gold RTS), it'll have nds-bootstrap force-patch sleep mode for it to work on DSi and 3DS consoles. DSiWare-Speicherstände werden nun korrekt angelegt und wenn NDS-Bootstrap von einer Flashkarte genutzt und GBARunner2 gestartet wird, wird letzteres direkt gebootet, anstatt mit der Flashkarte. * DSiWare saves are now properly created with a FAT12 header added to the beginning. Now some DSiWare games should either no longer give a "save corrupted" message, or start successfully instead of showing The save data could not be read. * If nds-bootstrap is set to be used on flashcards, when starting GBARunner2, it'll be booted directly, instead of using the flashcard kernel/firmware to boot it. Lags in der Spielwelt von Pokémon Schwarz 2/Weiß 2 sollten größtenteils behoben sein, außerdem wurden Soundprobleme in einigen Spielen gefixt. Leider bringt das Release auch eine Regression mit und zwar laden einige Spiele langsamer als sonst (wie GTA: Chinatown Wars). Die Vorgängerversion findet ihr auf GitHub. * NDMA is now utilized more for SD reads. Saves the arm7 CPU from overhead. Fixes most overworld lags in Pokemon B2W2, and sound pauses during loading in some thumb games. * Some games, mostly thumb ones (such as GTA:CW), may load slower than usual. Die Einstellungen werden wieder gespeichert, wenn TWiLight Menu++ von einer Flashkarte ausgeführt wird und die nds-bootstrap.ini wird nun auch dort gespeichert. * Fixed settings.ini not being saved, if TWiLight Menu++ is being ran from flashcard. * nds-bootstrap.ini is now saved to flashcard, if TWiLight Menu++ is being ran from there.